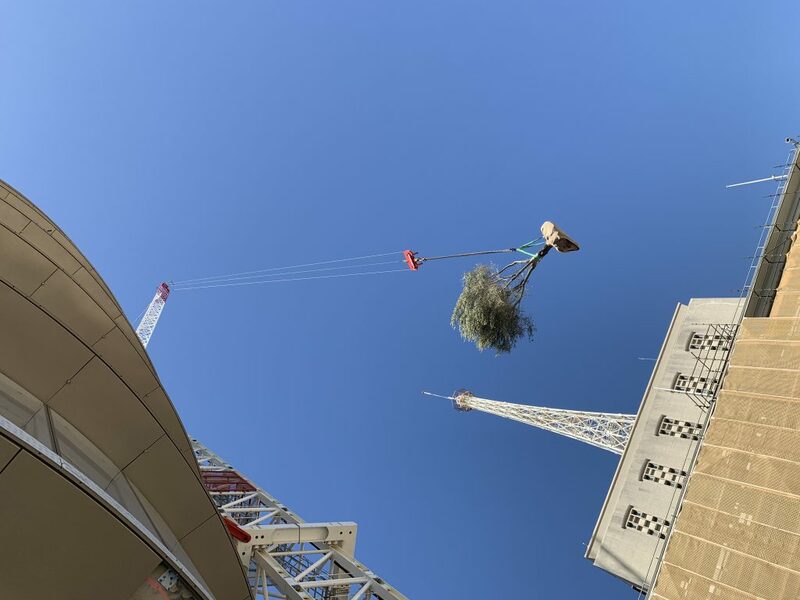 An important milestone has been reached in February 2019: twelve olive trees have been lifted up to the 17th level of UTS’s new building to compose the Executive Gardens, that will welcome the Vice Chancellor and the University research Staff. The selected trees, carefully transported from the nursery, have been lifted and installed without problems. We are looking forward to seeing this project completed in July 2019. Stay tuned!